Despite losing the Africa champions league preliminary round first leg match at home to CNaPS, coach Frank Nuttall is optimistic that Gor Mahia can turn the tables on their Madagascan challengers. “Having lost the first leg makes us the underdogs and we understand it will be a tough match. However, we also know that there is a good chance we can win and so the players will be giving their best,” he said. “It will be a tall order for Gor Mahia. They have scored two goals in the last four matches.Nuttall admitted that the team is having difficulties converting the many chances they create and will need to work on it ahead of the weekend match.” said Nuttall to the Standard. When asked about the rift between him and goalkeeper Boniface Oluoch, Nuttall would not commit. Jerim Onyango played well in his place and could very well be preferred between the posts in Madagascar. His return to the starting line-up has further motivated Jerim who spent most of 2015 on the bench. “Its always good to be out there playing. I am happy with my performance in the two matches. But the most important thing is to have team work. It is not every day that we will all get playing time. Of course one gets disappointed when not fielded but for me it always gives me a challenge to work even harder to get better while at the same time it makes me learn from what the other keeper has done right” said Jerim to the Nation. All gor strikers are short except agwada but agwada is not good on heading balls. So it means pin point crosses from sibomana n Karim Will not b utilised by our shorter strikers. @blackmarket….Ati bring Shakava as a striker? ?are you sure you watch Gor ama you are a fan of a fan?if that is how football works why dont we then make Sibomana the keeper since he is tall and will be able to deal with high balls…..fyi…agwanda is also short!!! I think the days of discussing the line ups are long gone and for those who may not know its a brood for chaos and disasters..leave the line up unconditionally to the Tech bench. Football has it that the players at times despised by the fans may just rescue the day for the team. Mr. Nuttal however should mend fences with his players..he is actually a manager and knows better that management is getting things done by others..hii wrangles na players is quite childish. I wish the team well unconditionally. Do not blame one person. We need peace to reign between players, coaches, and EC. Chairman should call a meeting to make peace at least until the end of the year. 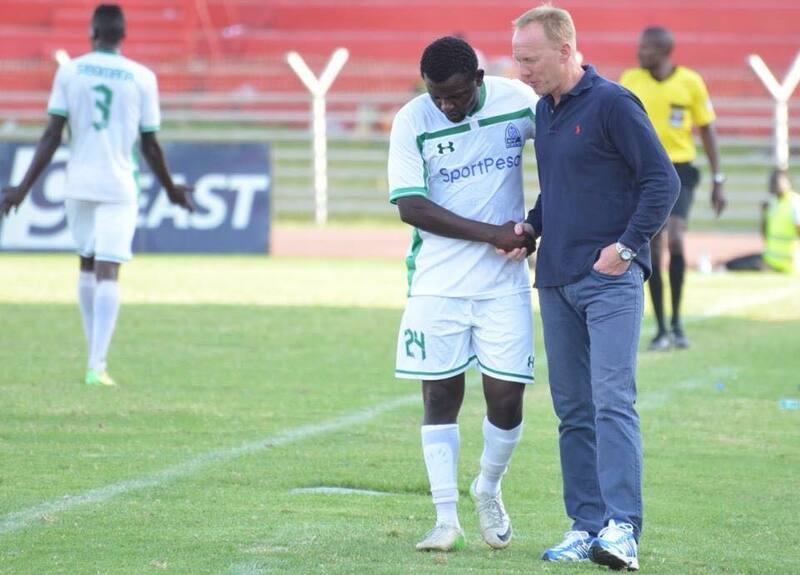 Gor get KSHs 15m kit deal from Legea. At least there are positive things going on for Gor. You lose some you gain some. I have temporarily been absent with my opinion in relation to Gor mahia’s performance since Spl began due to what some bloggers write.Rather that trying to write positively some concentrate on negativities that only demoralises as opposed to motivating.Anyway for me Gor is the team in good or bad times.There are times to laugh & times cry as the good book says.All those are under the sun & so are ingredients that make life worth living.CHEERS KO’GALO FANS,GOODTIMES ARE STILL THERE. @Sandroman or whatever your name is,read my comment afresh & let it sink deep in your thought.If you are qualified in offering remedies then table your CV for there are a number of clubs in need of such remedies not only Gor. Ssere was da shortest top striker,height isn’t really a factor.